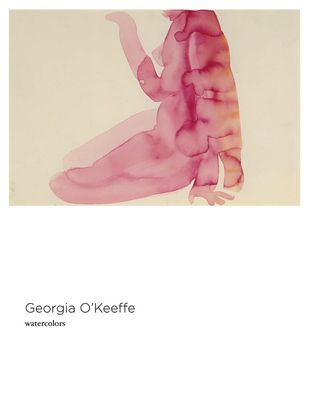 Georgia O'Keeffe: Watercolors catalogues the first major exhibition of the nearly 50 watercolors created by O'Keeffe between 1916 and 1918, while she lived in Canyon, Texas. These years mark a period of radical innovation for the artist, during which she firmly established her commitment to abstraction. While her work in Texas is often understood as merely a prelude to her career in New York City, these watercolors and drawings mark a seminal stage in O'Keeffe's artistic formation, representing the pivotal intersection of her disciplined art practice and her allegiance to the revolutionary techniques of her mentor, Arthur Wesley Dow. O'Keeffe's watercolors explore the texture and landscape of the Texas desert and the artist's own body in an exceptionally fragile and sensitive medium, representing a substantial achievement in their own right. These early works also relate to O'Keeffe's large-scale oil paintings, which in their handling of color and texture in some ways seem to aspire to the condition of watercolor. Designed to emphasize direct contact with these beautiful works, Watercolors features full-scale color reproductions of the paintings, most of which are approximately 8x12 inches in scale, offering a powerful testament to the significance of the watercolors in O'Keeffe's creative evolution. Also included (in a wallet at the rear of the book) is a lengthy essay by Amy Von Lintel featuring archival photographs of O'Keeffe from these years. Georgia O'Keeffe (1887-1986) is best known for her distinctive paintings of flowers and landscapes which applied a precise, often hard-edged abstract language to evocative natural forms. Dubbed the "mother of American modernism," O'Keeffe produced more than 1,000 artworks in a career of more than 60 years.